Some fishing friends and I got into a conversation recently, and as usual, the talk turned to fishing. We talked about ice-fishing and we talked about open water fishing. We talked about techniques for fishing and we talked about favorite places to go fishing. After exhausting all those topics, we got into a conversation about the tools that we use to go fishing, and then we got a little more specific. What are some basic fishing items that we need for both open water and ice-fishing? Not the obvious things like rods and reels and lures and those sorts of things. What are some very necessary tools that we often over-look? Following are some things that we came up with. The first thing that everyone agreed on was a line-cutter. Most in the group had a fingernail clipper that was worn on a lanyard around their neck. Others had several clippers on lanyards that were on boat cleats at the corners of their boat, and a couple had clippers on lanyards attached to the handles of their tackleboxes. The superlines of today absolutely require a clipper: There are some anglers that have a special clipper for superline. Superlines are tough and hard to cut, and that’s a desirable trait when your line is rubbing against rocks and stumps and such. But monofilament and fluorocarbon lines are also tough and should be cut with clippers, and the clippers also enable us to trim knots up a bit. Another mandatory tool was a long needle-nose plier. When ice-fishing with a spoon with treble hooks, or when open water fishing with crankbaits, a good needle-nose provides safety for both the angler and the fish. They’re also beneficial when a fish gets a jig or hook deeper than can be easily reached with fingers. If you’re going to release the fish, the needle-nose allows us to get the fish unhooked quickly. That’s good for the fish. With multi-hook baits, the needle-nose keeps our fingers away from the hooks, and that’s good for the angler. Be sure to keep the needle-nose well lubricated so it operates easily. Another item that has become almost mandatory to some anglers is a good set of bibs. When ice-fishing, the bibs provide warmth, but they also enable us to kneel by an ice-hole when fishing or when landing a fish. Good bibs will keep you drier, and warm, dry anglers enjoy their fishing more. However, many anglers also wear bibs in the open water season. They provide warmth in the spring and fall, but they also again keep us dry. Sometimes fish flop when we’re holding them, and it’s easier to pin the fish against our waders to help maintain control. Holding a fish against regular clothing can be wet and smelly, but it’s not so bad against bibs. The Guidewear bibs that Cabela’s offers are some of the best. Many anglers have an unlined pair of bibs for warmer weather and lined bibs for cold weather and ice-fishing. The last thing several in our group deemed mandatory when fishing was their phone, but it wasn’t so they could make calls or receive text messages. It was for the camera feature. They take their phone fishing with them so they could record their catches. Next time you go fishing, do a quick check to make sure that you have the tools just mentioned. If you do, you’ll enjoy your time on the water or on the ice even more. 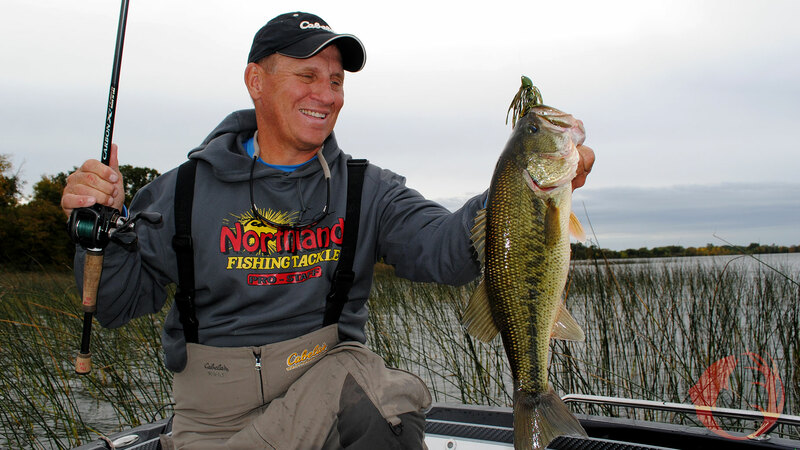 Feature Photo: On a cool autumn day, Guidewear bibs are a must-have item for many anglers.